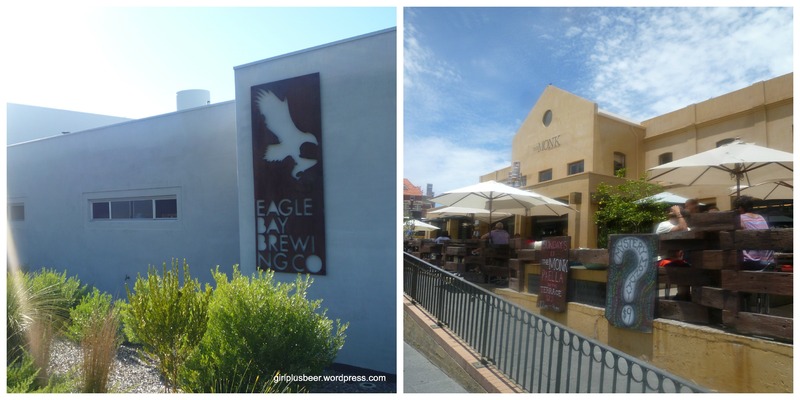 The guys at Eagle Bay Brewing and The Monk Brewery & Kitchen were kind enough to invite myself and my partner to join them on Saturday at Eagle Bay Brewing. 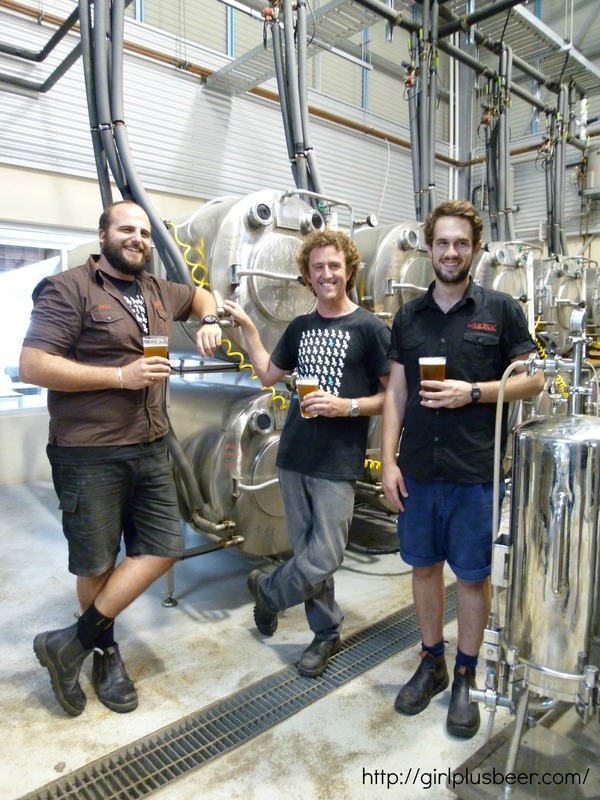 We were invited for a special occasion (not merely for our witty banter and captivating conversational skills of course), the first brew day for their collaboration brew for the Great Australasian Beer SpecTAPular festival. The Great Australasian Beer SpecTAPular, or simply GABS for short, is a three day beer festival in Melbourne that brings together brewers from Australia, New Zealand and beyond. It’s a great opportunity to taste craft beer and meet the brewers; there is also live entertainment, educational seminars and gourmet food stalls. It’s no wonder the event attracts so much attention … and it only started last year. The 2013 edition of GABS is happening on Friday 24th – Sunday 25th May, coinciding with the final days of the annual Good Beer Week. The highlight of GABS are the festival beers, beers brewed especially for the festival showcasing brewing creativity and experimentation. 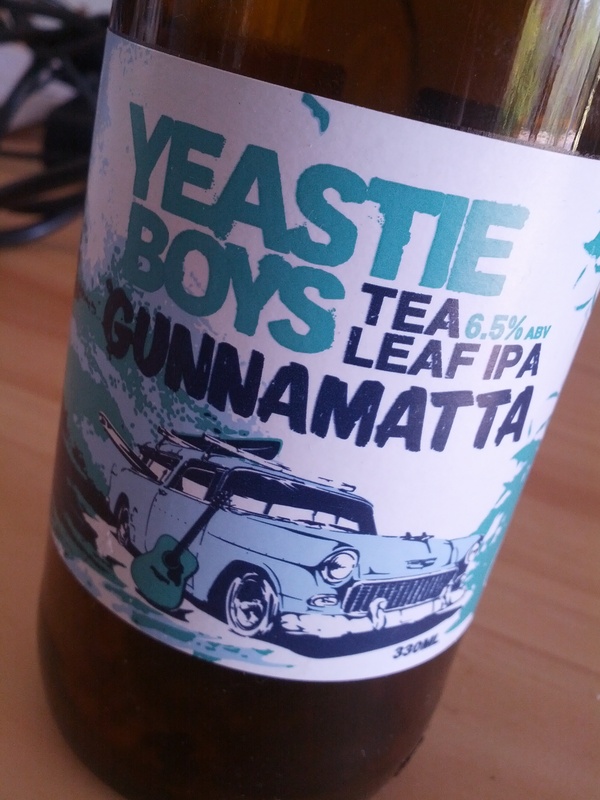 Previous GABS beers that have won the hearts of beer fans include Feral Watermelon Warhead and Yeastie Boys Gunnamatta IPA which have gone on to be regular brews for Feral and Yeastie Boys alike. 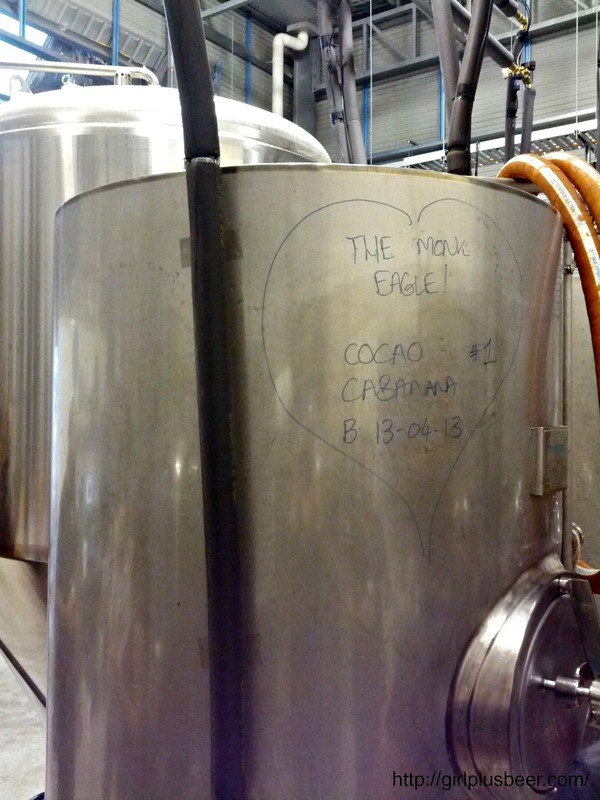 The South West’s own Eagle Bay Brewing have teamed up with Fremantle’s The Monk to create a beer for GABS – the Cacao Cabana. If by this point you don’t have Barry Manilow singing Copacabana in your head then you’re a stronger person than me. Paul wanted to make a beer reminiscent of choc/banana lollipops and was also keen to play with a hefeweizen yeast. He threw the idea at Nick and he jumped on board, bringing with him the know-how in using cacao husks in beer (having brewed with them for their winter single batch Cacao Stout), the idea for an English brown ale base and an invitation to come hang out down south. The Cacao Cabana uses a hefeweizen yeast with cacao husks from Bahen & Co Chocolate, Margaret River, and an English Brown Ale base. Hops – English varieties East Kent Goldings and Target. The beer will be yeast driven, Paul and Nick are looking for big fat banana characteristics from the hefeweizen yeast so they don’t want too much hop aroma interfering. Malts – a pale malt base with the likes of carafa (German roasted malt), caramunich and a touch of wheat thrown in. Cacao Husks – from Margaret River company Bahen & Co who make stone ground chocolate from bean to bar. During the chocolate making process the cacao beans are broken, separating the nibs from the husks and these husks are a by-product. Thankfully they had somewhere to go – into this beer! 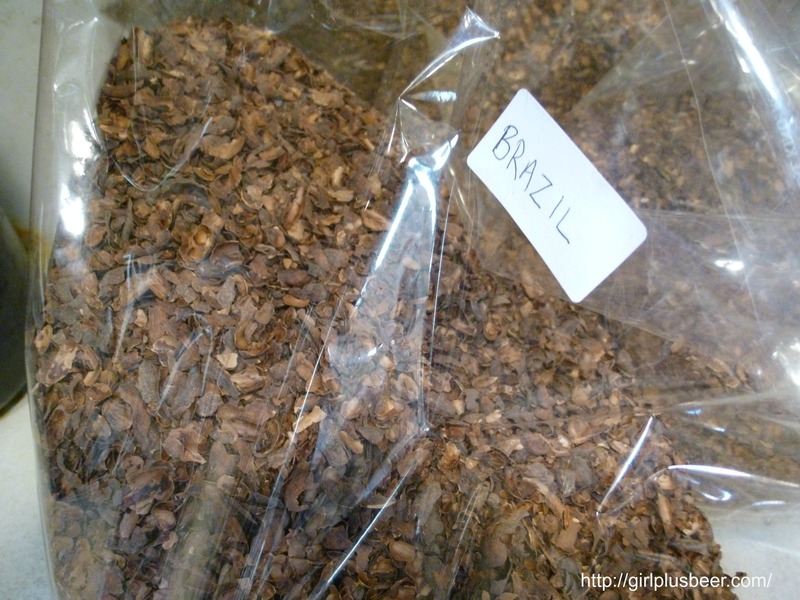 Paul and Nick are using husks from Brazilian and Madagascan cacao beans, about even amounts of both, thrown into the mash. There is a chance they will also be used for dry hopping too. All GABS festival beers are released first at the festival so if you’re heading along to Melbourne be sure to give it a go, I know I’ll be there! 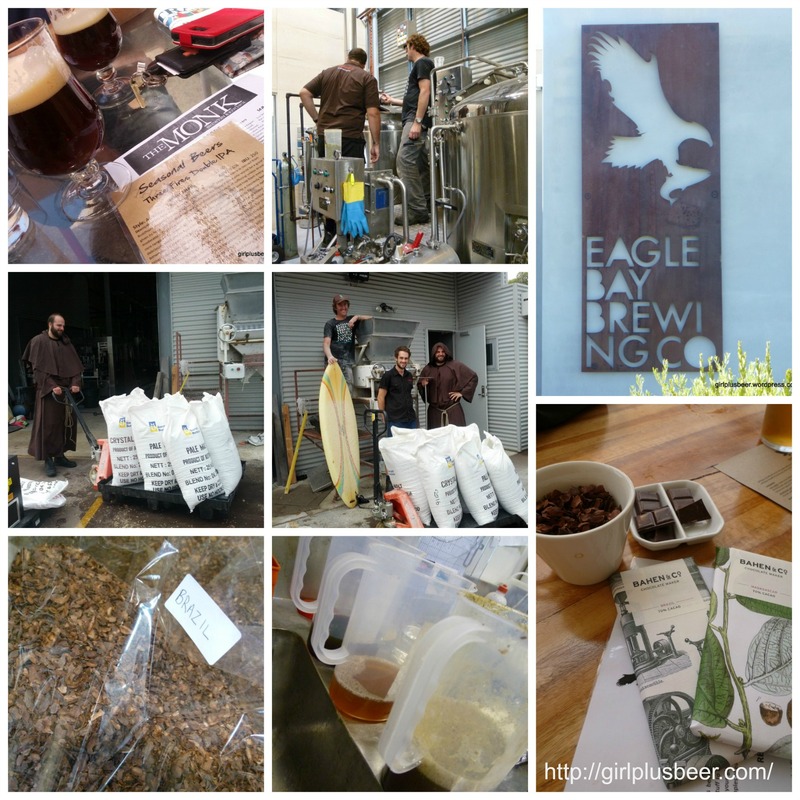 Big thanks to Eagle Bay’s Margi, Nick and Adrian, and also Paul and Jack from The Monk, for inviting us to Eagle Bay Brewing for the day. It’s always an education to hang out with brewers and learn about brewing plus there’s always a laugh and a beer too. Thanks also to the chefs at Eagle Bay Brewing for feeding us during a busy lunch service and spoilt us with amazing pizzas, pate, cheese, bread and fries. I dropped into Eagle Bay Brewing on Friday, taking advantage of their special $15 growler refills, and Nick kindly have me a sample of the Cacao Cabana. Only just post ferment, the beer has a lovely banana characteristic, real fresh banana. The chocolate is there but very subtle, Nick tells me there might be a case to throw in more cacao husks, “dry husking” you might even call it! Oh how intriguing! I can’t wait for GABS!